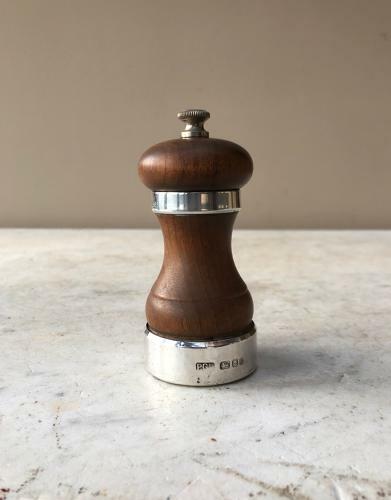 Lovely condition wooden pepper mill with solid silver hallmarked bands. Fully working. Underneath "Peter Piper Pepper Mill"